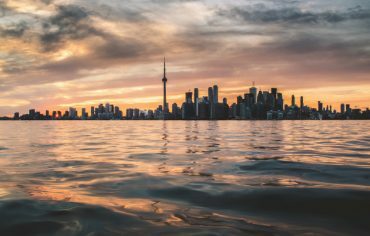 If you recently bought a home, it can be disheartening to learn how much house prices have appreciated over the past few years in major centres – the average value of Toronto homes has risen 22.8% since 2008 – but every cloud has a silver lining. 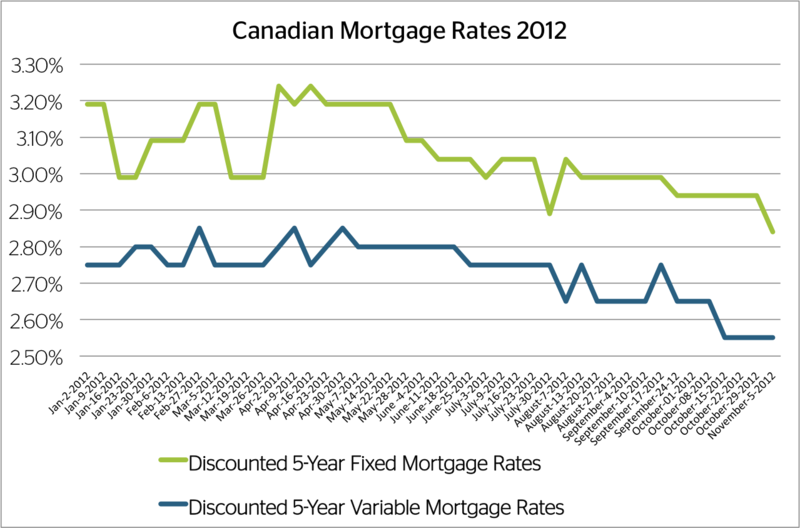 An article from CanadianMortgageTrends.com points out mortgage rates are approximately half of what they were five years ago. 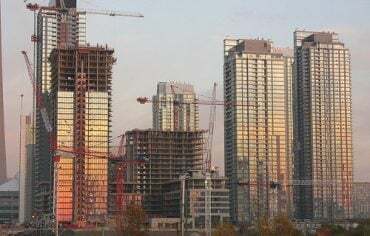 The discounted 5-year fixed mortgage rate, which was 5.69% in October 2007, now sits at a bargain basement 2.89%, roughly half its 2007 rate. Let’s illustrate how much minimum mortgage payments have fallen, and the interest you’ll save, with a $250,000 mortgage amortized over 25 years. 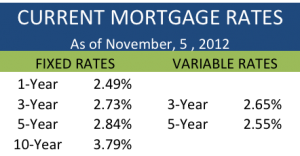 In 2007, your monthly payment would have been $1,553.74 at a mortgage rate of 5.69%. However, today your monthly payment would be only $1,169.05 at a mortgage rate of 2.89% – that’s $384.69 less per month than five years ago. 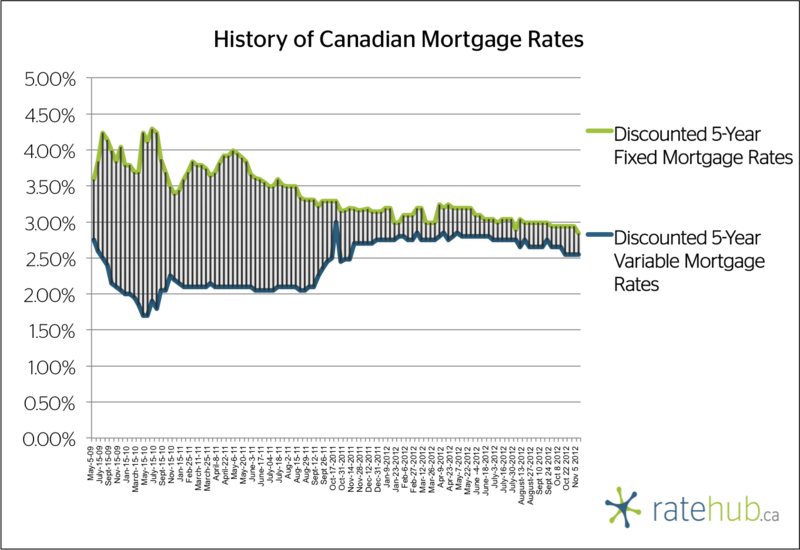 Over a 5-year mortgage term at 5.69%, you would have paid $66,819.00 of interest, versus only $33,375.90 at a 2.89% mortgage rate. That’s $33,443.10 less in interest you’ll pay to your lender now compared to just five years ago. If you’re a homeowner, you should be reaping the rewards of low mortgage rates. Especially if you don’t have any high interest debt, it’s hard to find a better investment than accelerating the repayment of your mortgage. Not only does paying your mortgage off sooner provide a guaranteed rate of return, it can save you thousands in interest over the life of your mortgage. When shopping for a mortgage, rates are only one factor to consider – it’s equally important to look at a lender’s prepayment privileges, especially if you plan to pay down your mortgage sooner. The ability to make lump sum payments, double up your payments or increase your payments, can shave years off the life of your mortgage. 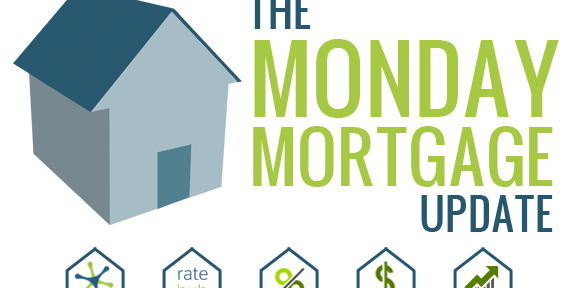 Unfortunately, most homeowners aren’t taking advantage of low rates. 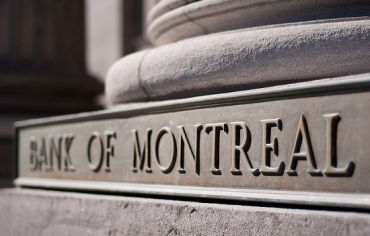 According to the Canadian Association of Accredited Mortgage Professionals, about 60 per cent of mortgage holders make only their minimum mortgage payment. Using the previous example, if you were to pay $1,553.74 per month at a mortgage rate of 2.89%, not only would your mortgage be paid off in 17 years – 8 years sooner – you’d save $35,049.88 in interest over the life of your mortgage ($66,644.53 versus $101,694.01, if you only paid the $1,169.05 monthly minimum). Mortgage rates are likely to be higher in five years when you go to renew, so why not take advantage of today’s low rates? The Spook-tacular Halloween Costume Contest Winners How Does the Toronto Land Transfer Tax Affect the Market and What Can We Do?